Digital transformation is about using technologies to connect employees, things, finances, data, and customers into an agile whole. SAP is enabling this change by bringing the key technologies into one platform, SAP Leonardo. As an SAP Gold Partner with decades of experience in these tools, Influential Software is in an ideal position to provide SAP Leonardo services. Now we’re promoting these services via our new SAP Leonardo website. SAP Leonardo is a box of flexible of tools. Like any tool, these technologies have the best effect in the hands of an expert. To help clients make the most of SAP Leonardo, our team can identify, select, customise, and implement the options that best suit their goals. Digital transformation is an ongoing process, attempting to keep innovation and customer-centric practices at the heart of business. For that reason, many businesses are not aware of their true digital potential. Influential Software’s consultants work with stakeholders to pinpoint the areas that are ripe for change, before guiding the business through the process itself. Typical outcomes of our SAP Leonardo consultancy include increased customer satisfaction, optimised production, reduced wastage, higher process efficiency, boosted revenue, and access to new markets. SAP Leonardo platform supports machine learning tools for a host of revolutionary uses. Use algorithms to design more effective processes, automate customer interactions, streamline payments, accelerate services, predict trends, and analyse marketing campaigns. Blockchain solutions offer a breakthrough in the speed and security of multi-party processes. Prevent illegality, track goods and processes, automate actions based on your criteria, meet reporting requirements easily, and share documents in safety. SAP Leonardo platform offers two blockchain technologies, SAP Cloud Platform Blockchain and SAP HANA Blockchain Service. The SAP Leonardo IoT Bridge is a system connecting products, assets, fleets, infrastructure, markets, and people. With applications from power grids to agriculture, or from driver safety to engine design, IoT is quickly showing its value for UK businesses. SAP Leonardo’s analytics solutions combine machine learning with predictive technology. By understanding data on a deep, real-time basis, businesses can foresee the trends to come. This allows you to boost returns in marketing, sales, and production. Turning large volumes of data into actionable intelligence is a cornerstone of agile enterprise. SAP Leonardo big data tools underpin your efforts in data-driven marketing, customer analysis, machine learning, and business analytics. Data is one of your most valuable commodities. 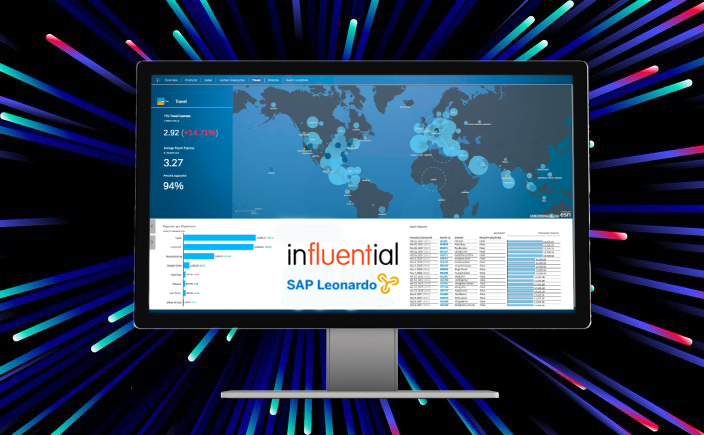 SAP Leonardo data intelligence can help you convert data into revenue with a Data-as-a-Service (DaaS) stream, embed it into your processes, turn it into insights that drive performance, or use it to create innovative new products. SAP Leonardo brings the technology. Influential Software brings the technique. Put the two together and you have a recipe for digital success. If you’re interested in finding out more, why not visit our dedicated site? Salesforce have been rapidly expanding their business capabilities and reach recently, forming new strategic partnerships with the likes of IBM, Dropbox and Google to name but a few. However their latest move is clearly the most bold to date. Making the largest acquisition in its history, Salesforce have agreed buy MuleSoft in a deal valued at $6.5 billion (£4.59 billion). 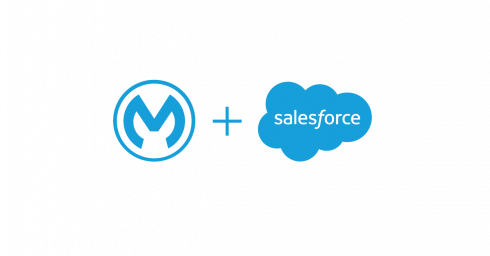 MuleSoft released an official press release “Salesforce Signs Definitive Agreement to Acquire MuleSoft“. “MuleSoft provides one of the world’s leading platforms for building application networks that connect enterprise apps, data and devices, across any cloud and on-premise. MuleSoft will power the new Salesforce Integration Cloud, which will enable all enterprises to surface any data—regardless of where it resides—to drive deep and intelligent customer experiences throughout a personalized 1:1 journey. It’s great news for everyone here at Influential Software, UK MuleSoft Partners and long-time CRM Saleforce consultants. We think MuleSoft is a great fit for Salesforce. This deal is about integrating customer information across all channels, but particularly unlocking that information from legacy systems. It means more investment and yet more rapid development of the partner products and services we provide our customers. The acquisition comes a year after MuleSoft went public and spent the year increasing sales, with Q4 in 2017 seeing a 60% jump on the previous year during the same time period, as MuleSoft rapidly expands it’s global reach. However, this deal is primarily about the functionality and capabilities MuleSoft will bring to Salesforce, rather than the potential revenue. The core of this deal is about integrating customer information across all channels, more specifically unlocking that information from legacy systems. Keith Block, Salesforce.com Inc. vice chairman, president and COO, is quoted by Light Reading  as saying on a conference call with financial analysts Tuesday afternoon discussing the acquisition. “Data locked in their legacy systems is holding them back,” Block said. By unlocking that data, “they will be able to make smarter, faster decisions,” and provide highly differentiated, customized customer experiences. Unlocking that data is essential to digital transformation”, he said. “For example, healthcare providers need to be able to deliver personalized care by unlocking data stored in electronic medical records, ERP systems, cloud applications and proprietary systems. For financial services, nearly 90% of IT spending is now focused on compliance, maintenance and operations, leaving little room for innovation. And the US government has been working on modernizing its system for years. Unleashing data in legacy systems could be a significant opportunity for every industry”. Block said. The underlying drive for the acquisition is Customer Relationship Management and will mean the Anypoint Platform will be used for a new Salesforce Integration Cloud, although there are no official roadmaps published as yet. It is clear that MuleSoft will remain a vendor-neutral platform for information integration.